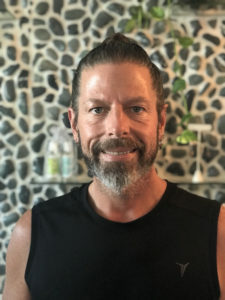 We are so honored to have Craig “Majik” Torchia join our amazing Team of Massage Therapists! Majik comes to us by way of Lower Puna, on the Big Island. Due to the recent and on-going lava flow there, Majik decided it was time to move and to continue his practice elsewhere. Fortunately for us, he chose Maui as the place to be next! Majik is a Deep Tissue Massage Expert, and he was very much sought after in Puna for the mastery of his skills. We are sure he will be very much in demand here on Maui, as well.